For some reason, I’ve had less Christmas spirit this year than I normally do. I just feel like it came up so fast and I wasn’t ready yet!! That being said, I am pretty excited that Vera is finally old enough to really grasp the whole concept, so I didn’t want to completely neglect the house when it came to decorating and getting festive. Since I just repainted the fireplace, and was still loving the new look, I decided not to go too overboard with the decor this year. 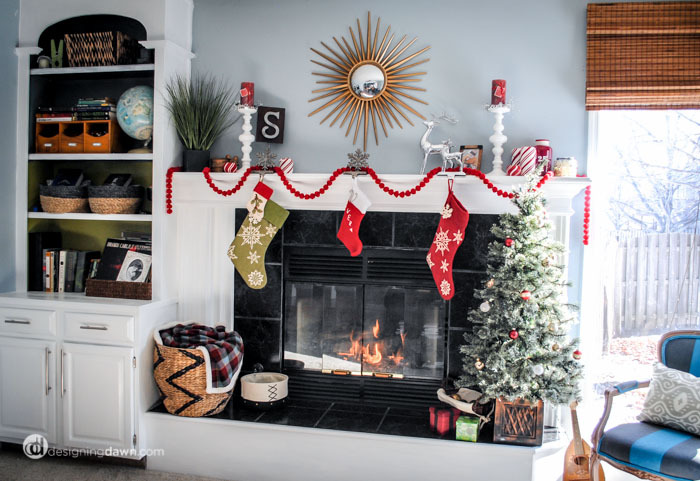 A simple vintage pom-garland, stockings, and a few new candles. Bam. 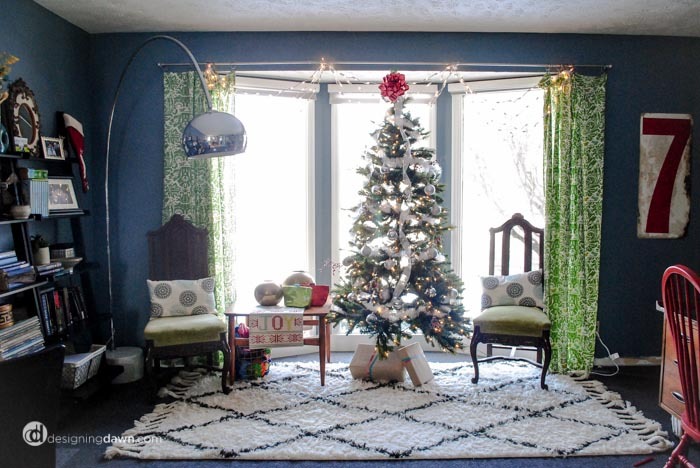 I also (grudgingly) switched out my beloved fiddle leaf fig for the obligatory Christmas tree. I’m missing the fig, but the pine does look more festive- especially all lit up at night, and it’s just for a month or so. In the front room, I went minimal this year as well. 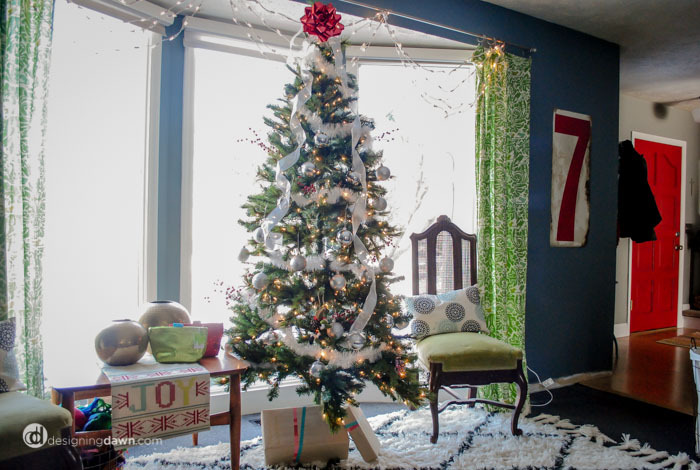 Our tree in silver and white with a touch of red, a few lights, and a fun little runner on the table. I like the clean look of it. We only have a few presents wrapped so far, so it’s looking a bit bare, but soon it will be all filled out and ready for the holiday. One tradition we always had in my family growing up was that each of us kids got to pick out a new Christmas ornament every year. I started that same tradition with Vera when she was born, but this is the first year she’s been old enough to actually select her own ornament. We took her downtown to Tannenbaums, a holiday specialty store with literally every kind of Christmas decoration you could ever want or need. 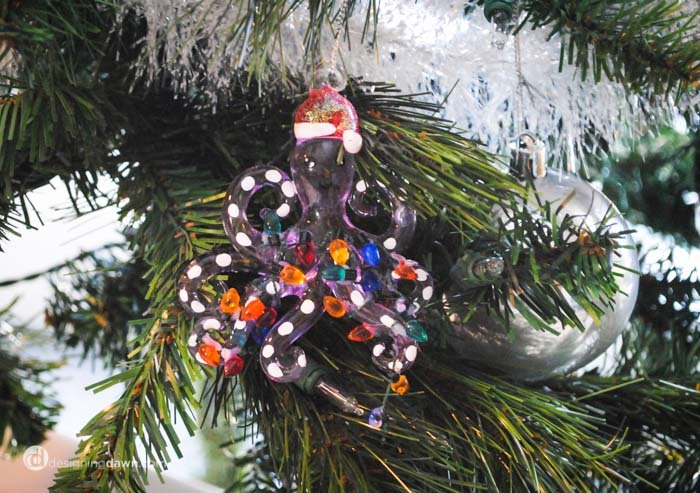 Naturally she picked out a purple octopus wearing a Santa hat. He looks a little out of place on the tree, but she loves him and I love that it’s her contribution. So there you have it. We’re ready for Santa now. Oh, but I almost forgot one thing I am actually excited about! 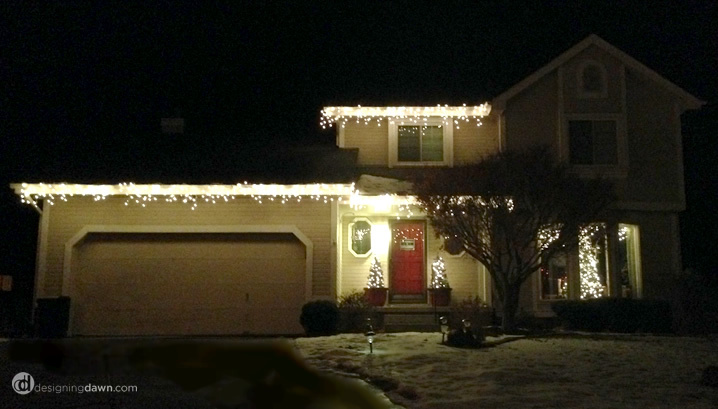 This year for the first time since moving in four years ago, we actually put up lights on the house! Yay! We didn’t quite get to the highest point on the house before the snow hit this year… but it’s better than nothing (and there’s always next year). NOW we’re ready. :) Happy holidays friends!